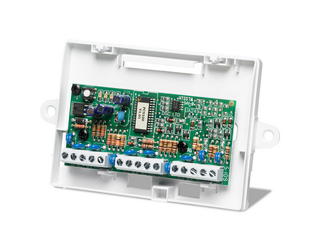 Use a Vector/Quad module to connect up to 4 wireless receivers to the control panel and expand the wireless coverage area. Place the additional wireless receivers strategically throughout the building to prevent wireless deadspots and maximize the wireless coverage. Note: the Vector/Quad does not provide additional zones.